VJ Books Presents Author Lee Child! 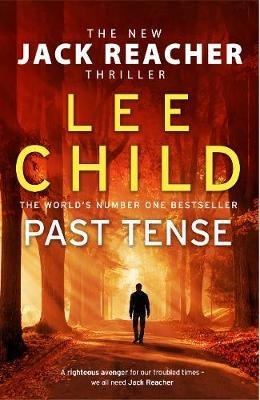 Lee Child was born in 1954 in Coventry, England, but spent his formative years in the nearby city of Birmingham. By coincidence he won a scholarship to the same high school that JRR Tolkien had attended. He went to law school in Sheffield, England, and after part-time work in the theater he joined Granada Television in Manchester for what turned out to be an eighteen-year career as a presentation director during British TV's "golden age." During his tenure his company made Brideshead Revisited, The Jewel in the Crown, Prime Suspect, and Cracker. But he was fired in 1995 at the age of 40 as a result of corporate restructuring. Always a voracious reader, he decided to see an opportunity where others might have seen a crisis and bought six dollars' worth of paper and pencils and sat down to write a book, Killing Floor, the first in the Jack Reacher series. Killing Floor was an immediate success and launched the series which has grown in sales and impact with every new installment. 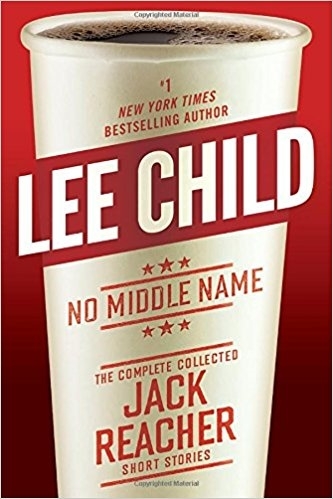 You can find Lee Child signed books below this author biography. Lee has several homes: an apartment in Manhattan, country houses in England and the south of France, and whatever airplane cabin he happens to be in while traveling between the two. In the US he drives a supercharged Jaguar, which was built in Jaguar's Browns Lane plant, thirty yards from the hospital in which he was born. Lee spends his spare time reading, listening to music, and watching the Yankees, Aston Villa, or Marseilles soccer. He is married with a grown-up daughter. His brother is novelist Andrew Grant. Author Signed Hardcover Book. June 2017 NY: Simon & Schuster. First edition, first printing, mint, new/unread in a flawless dust jacket, signed by Lee Child. Each dust jacket is protected in an acid-free archival quality acetate cover. Author Signed Hardcover Book. June 2017 NY: Simon & Schuster. 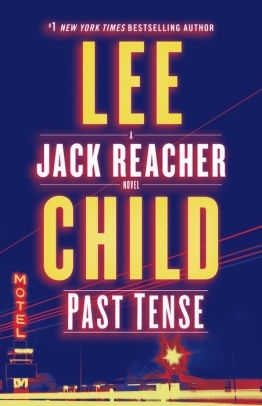 First edition, first printing, fine in a fine dust jacket, signed by Lee Child, remainder marked. Each dust jacket is protected in an acid-free archival quality acetate cover. Author Signed Hardcover Book October 2013 NY: Touchstone First edition, first printing, mint, new/unread in a flawless dust jacket, signed by Lee Child. Each dust jacket is protected in an acid-free archival quality acetate cover. Author Signed UK Hardcover Book. March 2010 NY: Bantam Press First UK edition, first printing, near-fine in fine dust jacket, signed by author. Each dust jacket is protected in an acid-free archival quality acetate cover. Author Signed Hardcover Book. September 2011 LON: Bantam Press First UK edition, first printing, mint, new/unread in a flawless dust jacket, signed by the author. Each dust jacket is protected in an acid-free archival quality acetate cover. Author Signed UK Trade Paperback Book 2007 LON: Bantam Press UK Trade Paper edition, first printing, mint, new/unread in flawless pictorial wraps, signed by the author. Author Signed Hardcover Book. 2007 NY: Delacorte First edition, first printing, fine in a fine dust jacket, signed by the author. Each dust jacket is protected in an acid-free archival quality acetate cover. Author Signed Hardcover Book. 2007 NY: Delacorte First edition, first printing, good in a near-fine dust jacket, signed by the author. Each dust jacket is protected in an acid-free archival quality acetate cover. Author Signed UK Hardcover Book. 2007 LON: Bantam First UK edition, first printing, mint, new/unread in a flawless dust jacket, signed by author. First Edition Hardcover Book 2009 NY: Delacorte Press First edition, first printing, fine in a fine dust jacket, signed by the author. Each dust jacket is protected in an acid-free archival quality acetate cover. Author Signed Hardcover Book September 2015 NY: Random House First edition, first printing, mint, new/unread in a flawless dust jacket, signed by author. Each dust jacket is protected in an acid-free archival quality acetate cover. Author Signed UK Hardcover Book September 2015 LON: Bantam Press First UK edition, first printing, mint, new/unread in a flawless dust jacket, signed by author. Each dust jacket is protected in an acid-free archival quality acetate cover. Signed Hardcover Book. November 2017 NY: Delacorte Press First edition, first printing, mint, new/unread in a flawless dust jacket, signed by the author. Each dust jacket is protected in an acid-free archival quality acetate cover. Signed Hardcover Book. November 2017 NY: Delacorte Press First edition, first printing, fine in a fine dust jacket, signed by the author. Each dust jacket is protected in an acid-free archival quality acetate cover. Signed Hardcover Book. November 2017 LON: Bantam First UK edition, first printing, mint, new/unread in a flawless dust jacket, signed by the author. Each dust jacket is protected in an acid-free archival quality acetate cover. Author Signed Hardcover Book September 2013 NY: Delacorte First edition, first printing, mint, new/unread in a flawless dust jacket, signed by author. Each dust jacket is protected in an acid-free archival quality acetate cover. Author Signed Hardcover Book September 2013 NY: Delacorte First edition, first printing, fine in a fine dust jacket, signed by author, remainder marked. Each dust jacket is protected in an acid-free archival quality acetate cover. Author Signed Hardcover Book. September 2016 NY: Random House Movie Tie-In edition, first printing, mint, new/unread trade paper in flawless pictorial wrappers, signed by the author. Each dust jacket is protected in an acid-free archival quality acetate cover. Author Signed UK Hardcover Book September 2013 LON: Bantam Press First UK edition, first printing, mint, new/unread in a flawless dust jacket, signed by author. Each dust jacket is protected in an acid-free archival quality acetate cover. Author Signed Hardcover Book. November 2016 NY: Random House First edition, first printing, mint, new/unread in a flawless dust jacket, signed by the author. Each dust jacket is protected in an acid-free archival quality acetate cover. Author Signed Hardcover Book. November 2016 NY: Random House First edition, first printing, fine in a fine dust jacket, signed by the author, remainder marked. Each dust jacket is protected in an acid-free archival quality acetate cover. Author Signed Hardcover Book May 2017 NY: Delacorte First edition, first printing, mint, new/unread in a flawless dust jacket, signed by author. Each dust jacket is protected in an acid-free archival quality acetate cover. Author Signed UK Hardcover Book November 2016 LON: Bantam Press First UK edition, first printing, mint, new/unread in a flawless dust jacket, signed by author. Each dust jacket is protected in an acid-free archival quality acetate cover. Author Signed Hardcover Book. November 2018 NY: Delacorte Press First edition, first printing, mint, new/unread in a flawless dust jacket, signed by the author. Each dust jacket is protected in an acid-free archival quality acetate cover. Author Signed UK Hardcover Book. November 2018 LON: Bantam PRess First UK edition, first printing, mint, new/unread in a flawless dust jacket, signed by the author. Each dust jacket is protected in an acid-free archival quality acetate cover. Author Signed Hardcover Book September 2014 NY: Delacorte First edition, first printing, mint, new/unread in a flawless dust jacket, signed by author. Each dust jacket is protected in an acid-free archival quality acetate cover. Author Signed UK Hardcover Book September 2014 LON: Bantam First UK edition, first printing, mint, new/unread in a flawless dust jacket, signed by author. Each dust jacket is protected in an acid-free archival quality acetate cover. Fresh Blood 3 (1999) Lee's story, "James Penney's New Identity", features a pre-Killing Floor Jack Reacher. Like a Charm (2004) Serialized novel; Lee wrote Chapter Six: "The Snake Eater by the Numbers". The Cocaine Chronicles (2005) Lee's story: "Ten Keys". Greatest Hits (2005) Lee's story: "The Greatest Trick of All". Thriller (2006) Contains an edited version of "James Penney's New Identity" originally published in Fresh Blood 3. MWA Presents Death Do Us Part (2006) Lee's story: "Safe Enough". Bloodlines: A Horse Racing Anthology (2006) Lee's story: "The .50 Solution". The Best British Mysteries IV (2007) Lee's story: "The Greatest Trick of All". The Chopin Manuscript (2007) Audio serialized novel; Lee wrote Chapter 15. Killer Year: Stories to Die For (2008) Lee edited but did not contribute a story. Guy Walks Into a Bar (June 7, 2009); prequel to Gone Tomorrow includes Reacher, published in The New York Times. Phoenix Noir (2009) Lee's story: "Public Transportation". The Copper Bracelet (2009) Audio serialized novel; Lee wrote one chapter. 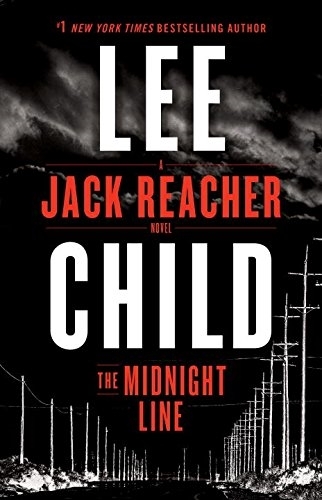 The Line Up (2010) Lee gives the inside story on Reacher and his origins. The Chopin Manuscript (2007) and The Copper Bracelet (2009). The Dark End of the Street (2010) Lee's story: "Me and Mr. Rafferty". Agents of Treachery (2010) Lee's story: "Section 7 (a) (Operational)". First Thrills (2010) Lee edited but did not contribute a story. The Best American Mystery Stories 2010 (Sept) Lee edited only. MWA Presents The Rich and the Dead (2011) Lee’s story: “Addicted to Sweetness”. A Study In Sherlock (2011) Lee’s story: “The Bone-Headed League”. “Second Son” (August 2011) available as a digital single, in audio or as bonus with US paperback edition of The Affair. “James Penney’s New Identity / Guy Walks Into A Bar” (Nov 2011) available as a digital single in the UK and territories. MWA Presents Vengeance (2012) Lee edited and contributed an introduction. Love is Murder (2012) Lee’s story: “I Heard a Romantic Story”. Esquire (June 2012) Lee’s story “Everyone Talks” features Reacher. Deep Down (July 2012) Reacher prequel story available as a digital single, in audio or as bonus with US paperback edition of A Wanted Man. The Marijuana Chronicles (July 2013) Lee’s story: “My First Drug Trial”. High Heat (August 2013) Reacher story available as a digital single, in audio or as bonus with US paperback edition of Never Go Back. USA Noir (November 2013) Lee’s story is “Public Transportation”. 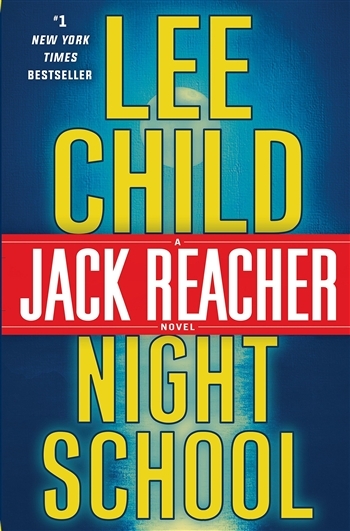 “Good and Valuable Consideration” which pairs Reacher with Finder’s Heller. Not a Drill (July 2014) Reacher story available as a digital single and in audio. Belfast Noir (November 2014) Lee’s story is “Wet with Rain”. Jack Reacher’s Rules (US/CA) / Reacher’s Rules (UK and territories) (Nov 2012) - A collection of do’s and don’ts from the Reacher novels.